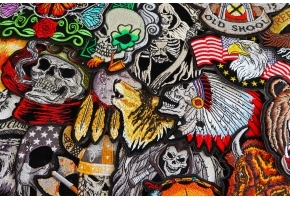 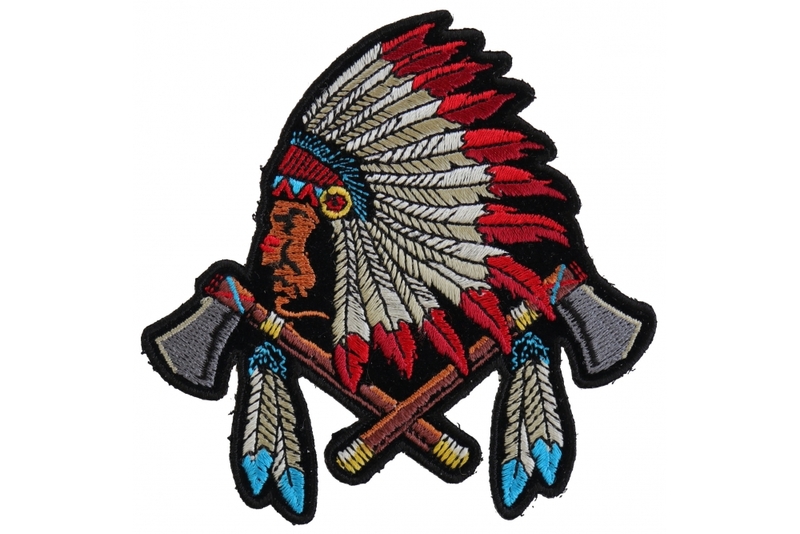 This 4 inch small Native Indian Patch has an Embroidered Chief with his hat and two War Axes are crossed over with feathers hanging off it. 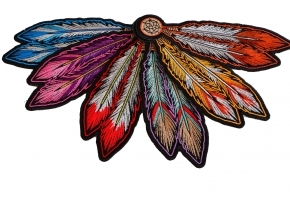 The embroidered iron on patch also comes in a large version that measures 12 inches. 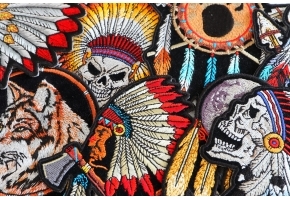 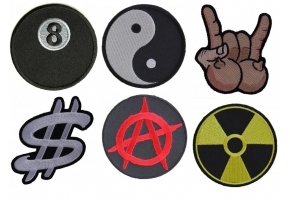 This small one will go well on the front of your vest while the larger version will make a very nice back patch.